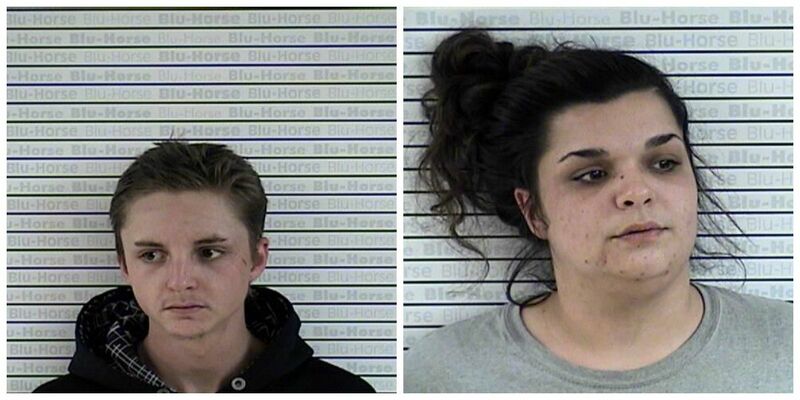 GRAVES COUNTY, KY (KFVS) - Two Graves County residents were arrested on Thursday, March 21 for multiple charges related to a burglary. According to the Graves County Sheriff’s Office, deputies began an investigation on Saturday, March 16. Several tools and other items were stolen from a home on KY-85E. They recovered several of the tools from different people in various locations in the county. The people named 18-year-old Thomas McNeil, of Boaz, and 19-year-old Jordon Burgie, of Mayfield, as suspects. After a day long search for the two, a detective spotted a vehicle with McNeil and Burgie sitting in it at a residence on Backusburg St. in Mayfield. When the detective exited his vehicle, McNeil got out of his vehicle and started walking to the front door of the nearby house. McNeil began beating on the front door and yelling “let me in”. He ran inside the home and the detective followed after him. He was found hiding in a bathroom and was taken into custody. The house was occupied by two people and did not know McNeil or why he was inside their house. When deputies searched McNeil they found a throwing star, a lead slap jack, and an open blade knife in his pocket. Burgie was also taken into custody and charged with receiving stolen property of under $10,000 and warrant service for failure to appear on a warrant issued on March 20 in Graves County. McNeil was charged with Receiving Stolen Property of under $10,000, second-degree burgarly, fleeing and evading police officer on foot and carrying a concealed deadly weapon.